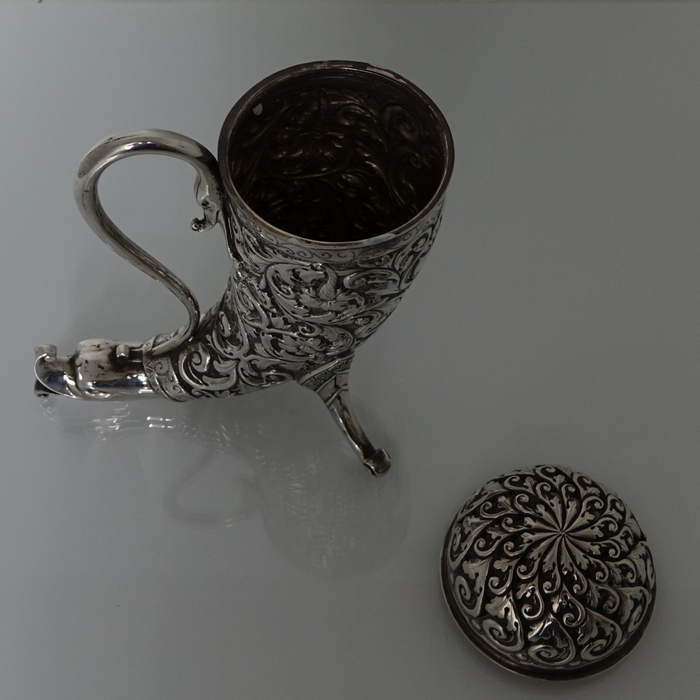 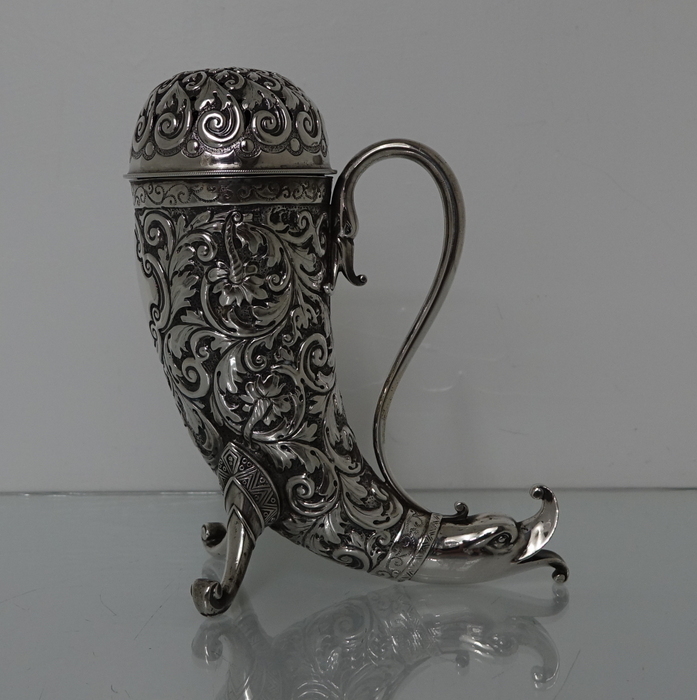 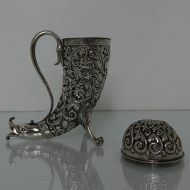 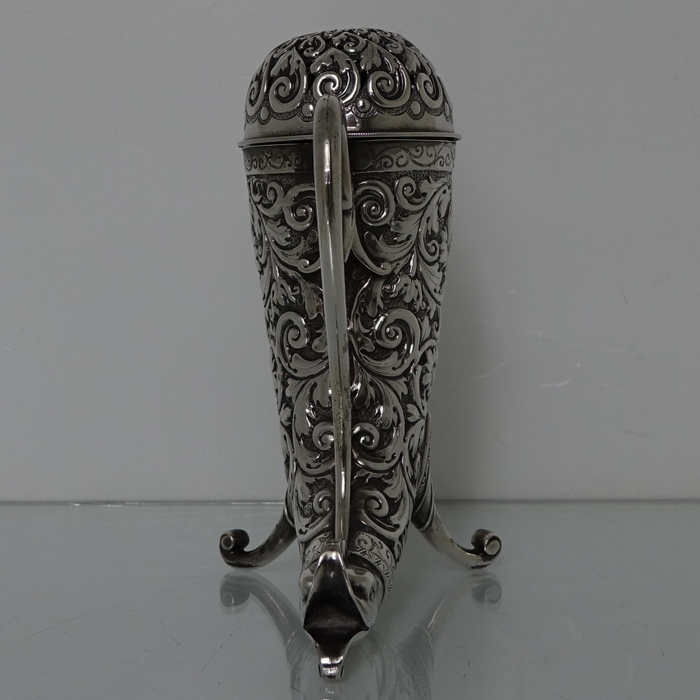 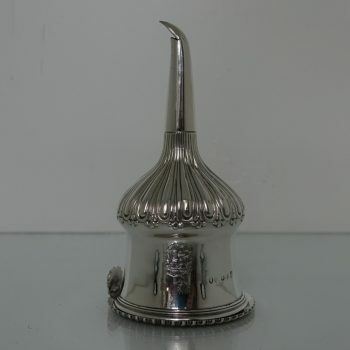 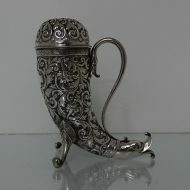 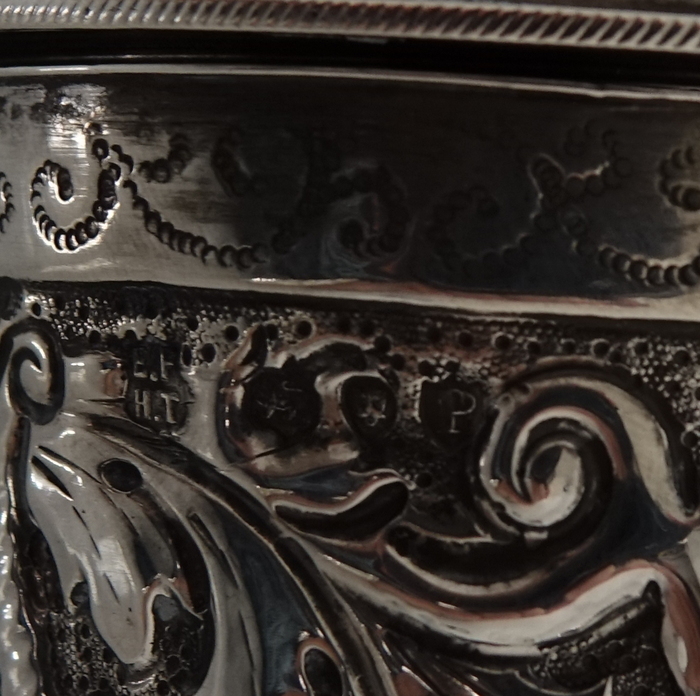 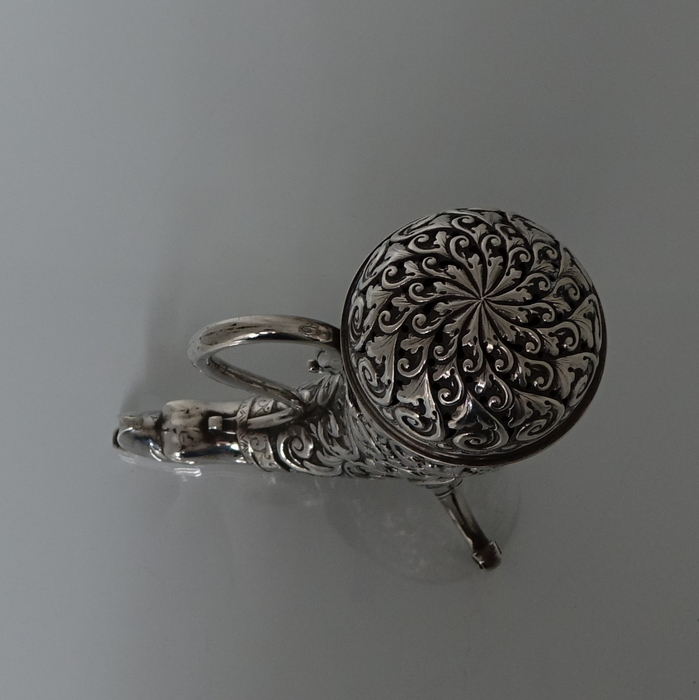 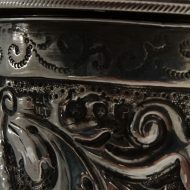 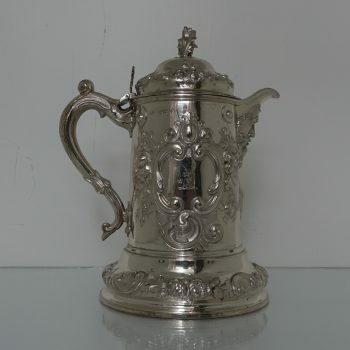 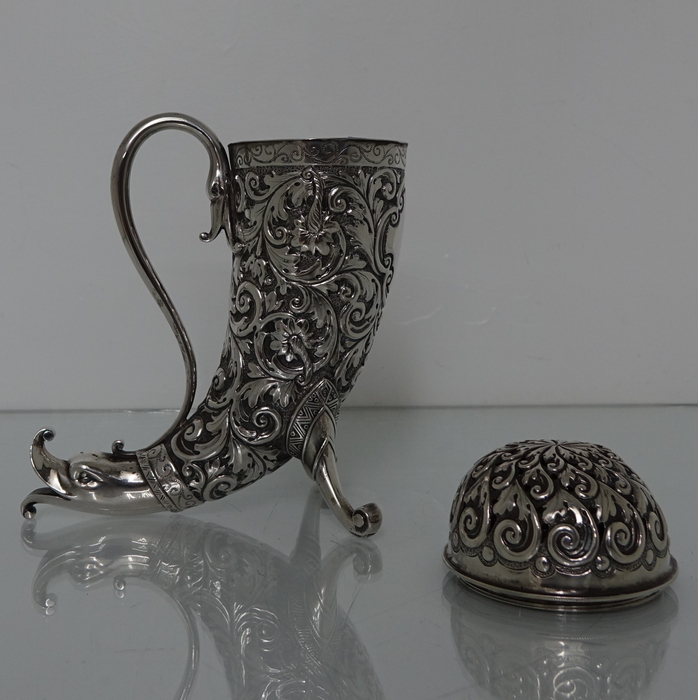 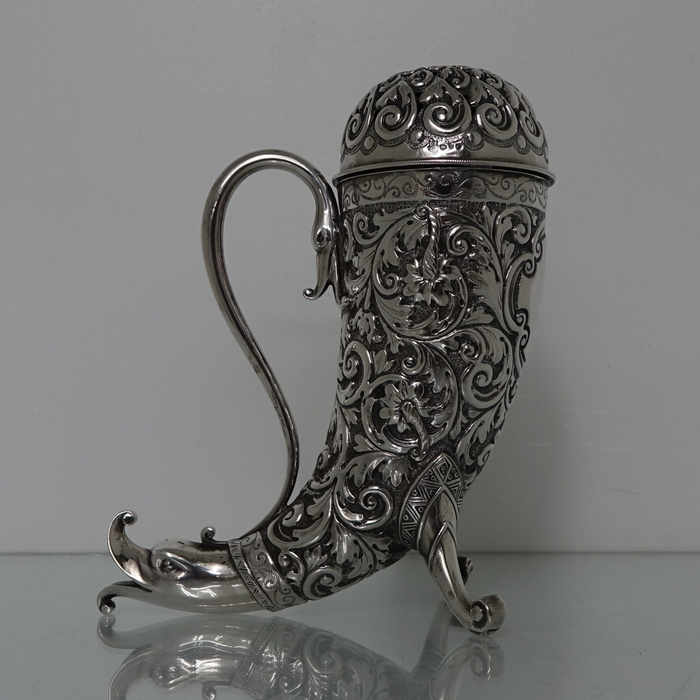 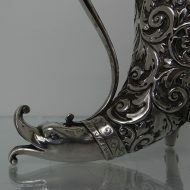 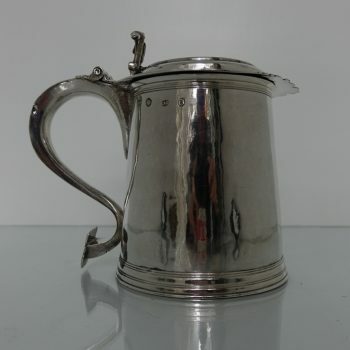 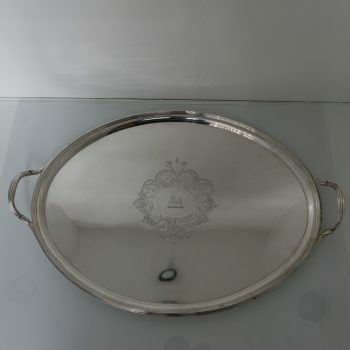 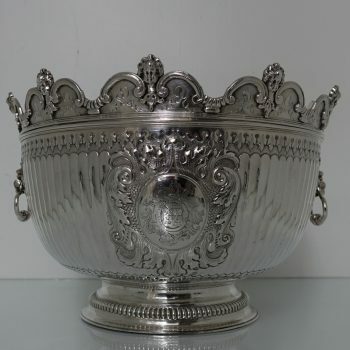 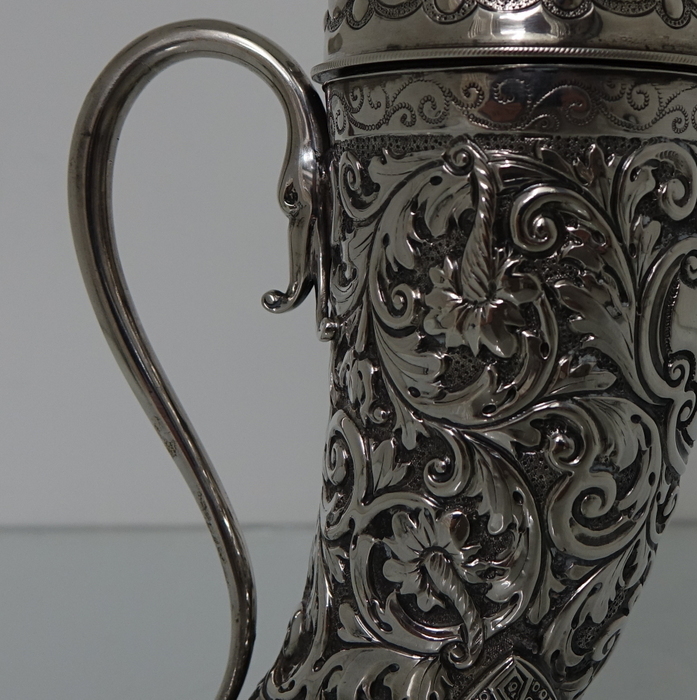 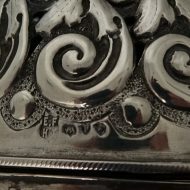 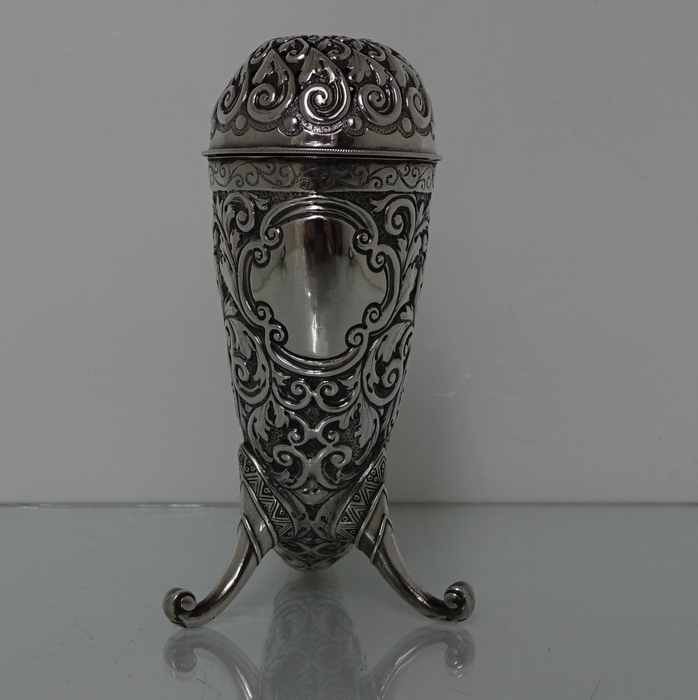 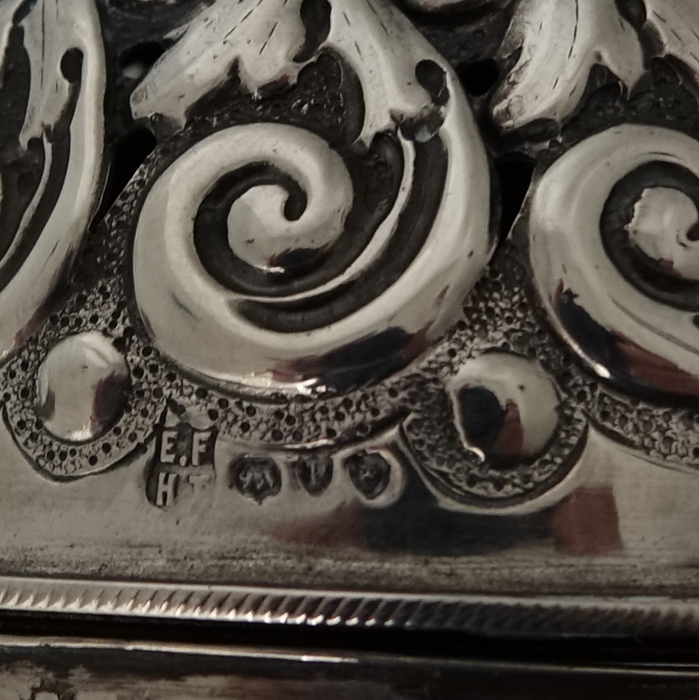 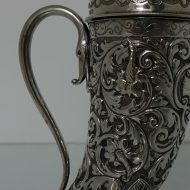 A very large sterling silver trumpet formed Victorian muffineer/sugar caster. 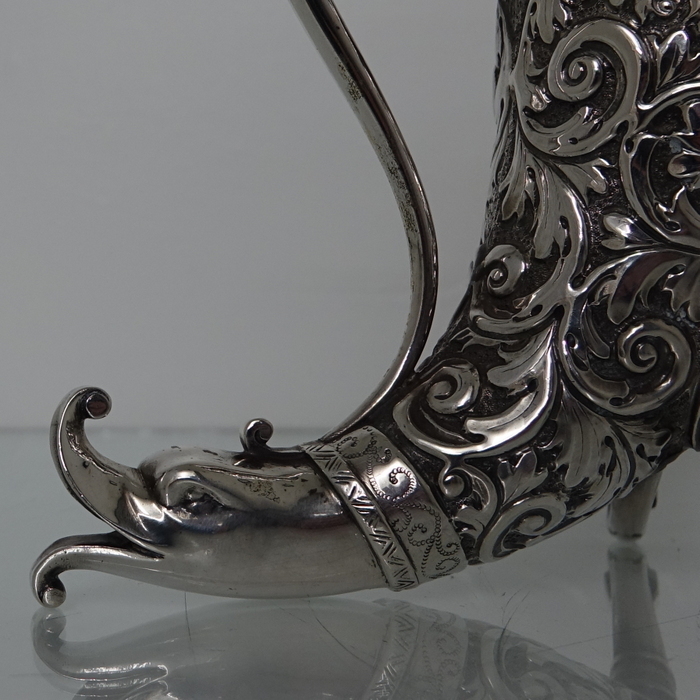 The muffineer is handsomely embossed throughout and sits on two stylish peg feet. 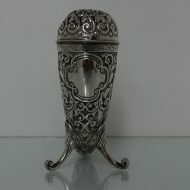 The lid is detachable and has a screw fit action. 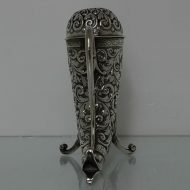 Beautiful and rare item.